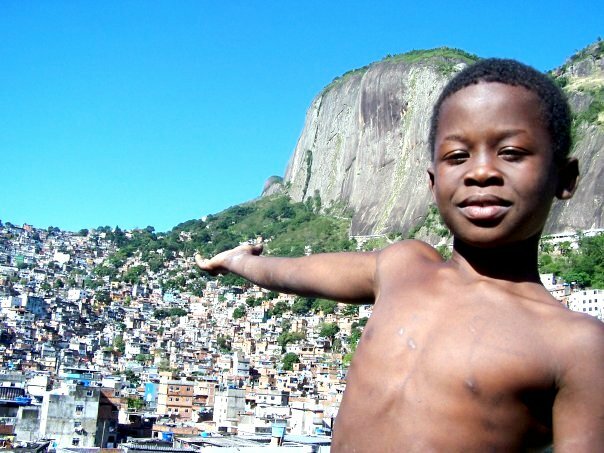 Non-profit organization “Il Sorriso dei miei Bimbi” promotes projects for children and youth education in the heart of Rocinha, in Rio de Janeiro. The association, founded by Barbara Olivi, has been operating in the area for over 12 years now. It carries out its non-profit initiatives in a complex, often violent environment in one of the largest favela in South America, known to international press for the armed conflicts between drug-dealers and police. Thanks to the essential support of numerous friends, the organization has developed a creative, exciting, didactic and educational path including: the nursery school “Saci Sabe Tudo”, that welcomes up to 100 children aged between 2 and 6 years, the Youth Project “Projeto Jovem” with its social redemption programme for youth risking to be involved in petty crime and teenage pregnancy (with individual psychological support), the literacy project “Alfabetizacao em Acao” for children and adults and the “Responsible Tourism” Programme to introduce the Community and the non-profit organization projects to tourists. The renovation of the first literary coffee in Rocinha, “Garagem das Letras”, goes back to 2014. A garage which will soon turn into a cultural centre, coffee bar and internet point run by local youth.